If you have a tired, thin lawn, you need aeration and overseeding services. Aeration and overseeding allows the soil to open up, breathe and receive turfgrass seed. What are Aeration and Overseeding? At Ground Control Lawn Care, our technicians use an aerator to pull 2” to 3” plugs of soil out of the ground. These plugs are made up of thatch and soil and will dissolve back into the ground as soon as you water your lawn or the next time it rains. 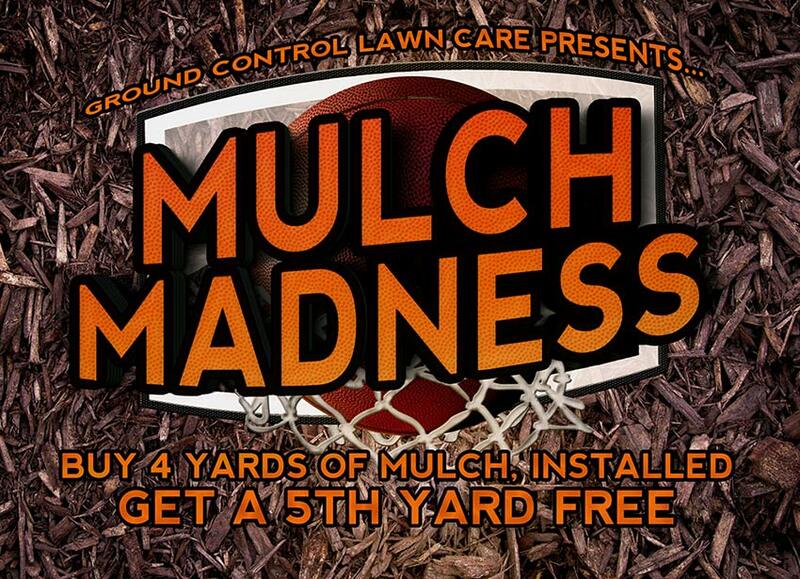 Our technicians will either go with a single or double pass depending on your lawn care goals and needs. Aeration allows your soil to breathe again. Carbon dioxide is released while at the same time, oxygen, water and sunlight penetrates the ground. Aeration also prepares your soil to receive grass seed. After our technician is finished aerating the soil, he’ll overseed your lawn as well as add top dressing and mulch. For the first couple of weeks, you’ll need to water your lawn each day to keep it moist unless it rains. Then, you’ll gradually back off irrigating until the grass grows long enough to be mowed for the first time. Why Aerate and Overseed My Lawn? Aeration and overseeding provide many benefits including strong, healthy turfgrass that crowds out weeds. Plus, a healthy lawn can withstand drought and heat stress better during the summer. Your lawn gets stressed. Kids are playing in the yard, constant mowing and weeks without rain cause your soil to become compacted. And compacted soil doesn’t breathe nor provide a place for healthy turf to grow. We provide aeration and overseeding services every spring and early fall. Fall is the best time for aeration and overseeding because there is less weed competition and plenty of rainy days to keep the soil moist. If you live in the greater Baltimore, MD region, and you need aeration and overseeding services, call us today (443) 520-5646 or fill out our contact form. Ground Control Lawn Care provides lawn services to commercial properties, HOAs, and residential properties. We take care of turfgrass in the following Baltimore County, Maryland cities: Bowleys Quarters, Cockeysville, Dundalk, Edgemere, Essex, Middle River, Nottingham, Parkville, Perry Hall, Pikesville, Rosedale, Towson, and White Marsh.